The 2019 BMW X3 for sale in Ontario, CA, is the perfect car for a driver who loves luxury and adventure. This sports activity vehicle offers fun, excitement, and the reliability and luxury BMW is known for. The 2019 BMW X3 near Eastvale, CA, is a spacious vehicle that seats up to five, which makes it the perfect car for a night out with friends and a road trip with family. This car has comfortable seating and a high-end design inside and out. New built-in technology will add convenience and entertainment to your everyday commute. Technology is also available to enhance your driving skills. The 2019 BMW X3 near Fontana, CA, and Upland, CA, also has excellent driving capabilities. Come on down to Ontario Auto Center to learn more about 2019 BMW X3 inventory near Riverside, CA. As soon as you arrive, we will help you with anything you need to get the car of your dreams. We will help you secure financing with the most reasonable interest rates available to you. For a more customized car, ask us about available accessories and vehicle add-ons. We also offer maintenance and repair services, as well as detailing, to help keep your car running and looking like new. 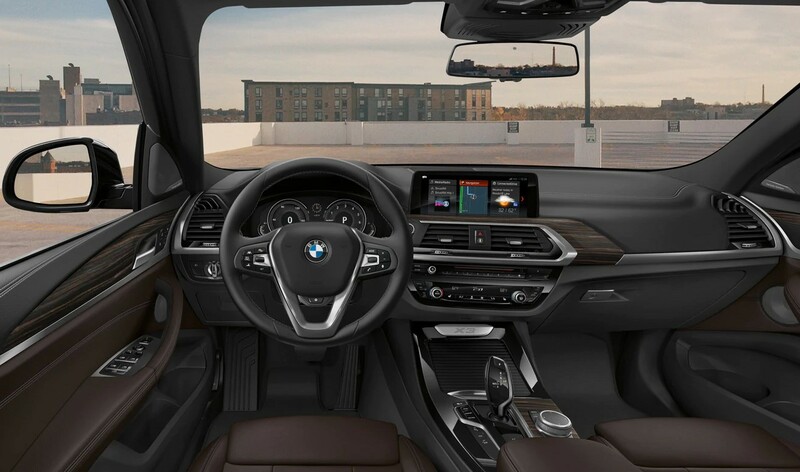 Test drive a 2019 BMW X3 near Riverside, CA, when you visit us. The 2019 BMW X3 in Ontario, CA, is available in three different design options: the xLine design, Sport design, and Luxury design. This car comes with either leather-upholstered or SensaTec (leatherette) seats, depending on the design you choose. No matter what, you will enjoy a comfortable and high-end experience. The available Head-up Display is an amazing available feature that shows important vehicle information conveniently on the side of your windshield. This car also has available Apple Carplay® and Android Auto™ integration. Enjoy music, podcasts, SiriusXM® satellite radio, and audiobooks using the available Harman Kardon® audio system. The 2019 BMW X3 is available in sDrive30i, xDrive30i and m40i, and has two available engine options. The 2.0-liter 4-cylinder TwinPower Turbo engine produces 248 horsepower and 258 lb.-ft. of torque. The 3.0-liter BMW M Performance 6-cylinder TwinPower Turbo inline engine delivers up to 355 horsepower and 369 lb.-ft. of torque. Available driver assist features include a rear-view mirror, blind spot detection, and more. Head over to Ontario Auto Center near Corona, CA, and Chino Hills, CA, today to learn more about this car. We are your one-stop-shop for all things BMW, so visit us today to learn more!